1980 Volkswagen Rabbit Diesel - How cool is this? 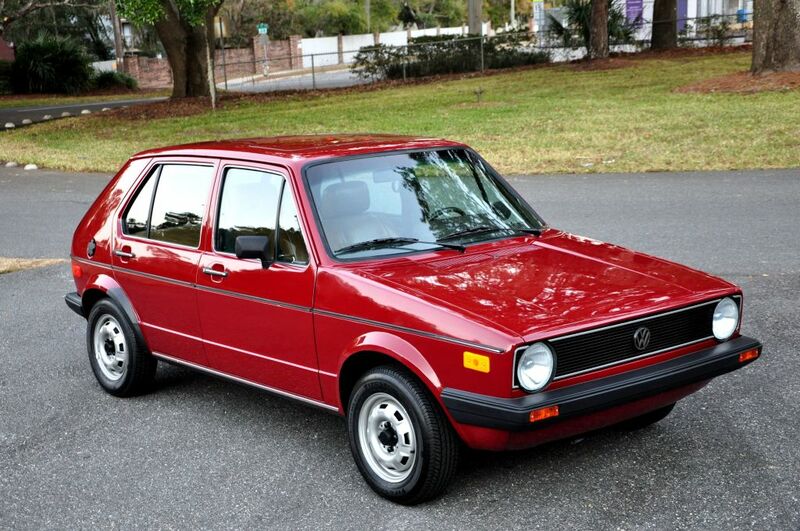 This guy did a full restoration on a 1980 VW Rabbit Diesel 4 door. The seller calls it a "weekend project that turned into an obsession". He's spent over $9000.00 in parts alone, choosing to use new parts instead of rebuilt or used parts. The VW diesel engine puts out a whopping 48 HP, which makes this one incredibly slow car. They are however, very fuel efficient and durable. This is not the first car most people would think about restoring. It's great to see someone putting the time, money and effort into a car like this. Another big thanks to JaCG reader, Mike, for sending me the link to this car. I like VWs, owned a Rabbit GTI once, but these "plain Jane" 4 door diesels are not meant to be "restored", they are meant to be driven into the ground (money savers). Restoring a car like this is like restoring a Chevy Cavalier. I don't get it. Why not saving this little Rabbit from the scrapyard? It's nice to see one of this plane cars in this showroom condition instead of being driven as a commuter car burning vegetable oil. I like it! Wow. Gorgeous. I never understand restoring only prissy cars. This to ME is a stunner. Like the R5/LeCar.. it's massively rare at this point and absolutely worth the effort to restore. A car of this popularity (then) has more connection to most people than a rarified rich-dude's car. Awesome. While I admire the end result, this is about as exciting as a restored farm tractor. In any case, it's the "time, money, and effort" thing that gets me. If a mortal being such as myself were to undertake a similar task on a VW diesel, I would make damn sure that my kitchen was remodeled beforehand. Throw in some new livingroom furniture as well as a walk in closet for the bedroom. My wife would go nuts if I were to spend that much time, money, and energy on such a utilitarian vehicle. It's Rabbit Season? There's another Rabbit/Golf/Cabriolet on eBay now.. also quite amazing. Needs upholstery, it seems but otherwise it's a stunner in a very 80's fantastic gold. Amazing... almost too nice to drive. You could fit a more modern 1.9 or 2.0 TDI and upgrade brakes & suspension to make it keep up in traffic and get better mileage to boot. There was a Rabbit on Bring a Trailer a while back with that kind of upgrade, so it's been done.